The Indian Lotus is termed as God’s favorite flower. Develops in muddy water and lotus's stem sprouts to produce a very beautiful flower. Lotus flower depicts the clarity of heart as well as the mind. The attar is sacred and spiritual. Subtle, earthy and flowery fragrance lend cooling effect on body and soul.The Indian Lotus is termed as Gods favorite flower. Develops in muddy water and lotus's stem sprouts to produce a very beautiful flower. Lotus flower depicts the clarity of heart as well as the mind. The attar is sacred and spiritual. Subtle, earthy and flowery fragrance lend cooling effect on body and soul. Khus is also known as ‘Cool Breeze’, as it is used to keep houses cool since ancient times. With a cooling and relaxing fragrance, Khus attar establishes harmony between body and mind and balances Kapha and Pitta.Khus is also known as Cool Breeze, as it is used to keep houses cool since ancient times. With a cooling and relaxing fragrance, Khus attar establishes harmony between body and mind and balances Kapha and Pitta. The spicy, mysterious blend of the Hina Zafrani Attar evokes warm thoughts toward oneself and others. This attar is made by distilling saffron into a base of Sandalwood oil. The sandalwood acts as a fixative and enhances the floral notes. The result is a unique, complex fragrance perfect for use as an enticing or simply to lift your mood.The spicy, mysterious blend of the Hina Zafrani Attar evokes warm thoughts toward oneself and others. 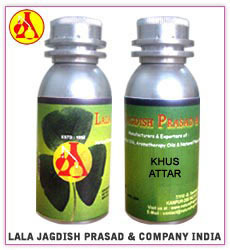 This attar is made by distilling saffron into a base of Sandalwood oil. The sandalwood acts as a fixative and enhances the floral notes. The result is a unique, complex fragrance perfect for use as an enticing aphrodisiac or simply to lift your mood.